WESTERN DIVISION police killed a man, identified as Jameel, earlier today, a short distance from where a 28-year-old man was murdered earlier this week. According to police, officers were on patrol at Waterhole, Cocorite this afternoon when they were fired at. The officers returned fire resulting in "multiple injuries". 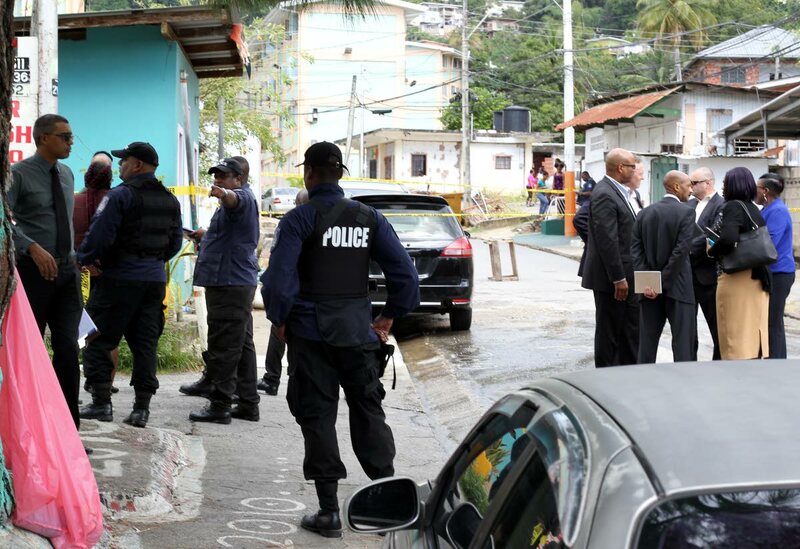 Police said Jameel was taken to the nearby St James Medical Complex where he was declared dead. On Thursday, fruit vendor Kzyz James, 28, of Building Three, Waterhole Road, Cocorite, was selling at the corner of Sea View Hill when a silver Nissan Wingroad drove up and one of the occupants shot at him several times. James died on the spot. James was arrested and charged with murder last year, but was released when the preliminary inquiry could not find enough evidence to commit him for trial. The crime scene was visited by officers from the Los Angeles Police Department (LAPD) who came to observe and make suggestions on the collection of evidence and investigative work of local police. The officers who returned to the US yesterday were sponsored by members of the business community as part of the I Support our Service campaign in support of the police service. Reply to "Police kill man near murder scene"